Join our high quality workshops. Grow your skills and nurture your creativity in our beautiful space. When you attend our workshops all materials and meals – morning and afternoon teas as well as lunch – are included. This makes it easy for you to come along and enjoy the day. Our workshops are held in the comfort of our air-conditioned Studio. Scroll down for upcoming workshops. “When I make my spoons, I’m aware that each piece of timber carries with it the story of the tree it came from. The character of the grain speaks to me of diverse landscapes, from high mountain country in Tasmania to harsh desert regions and dry riverbeds in Western Queensland. I’ve always loved being in the bush, collecting sticks and natural objects with interesting shapes and textures. I try to use these elements in my spoons by choosing shapes that follow the natural lines of the timber. Every tiny piece of wood is unique and its’ figure determines the curves and twists that I carve. No two spoons can ever be identical, just as no two pieces of wood can be. The grain is like fingerprints, almost the same but never exactly. I chose spoons because I love their sensuous, smooth shapes. To me they represent giving, sharing and hospitality. A spoon can be used to serve food to others or given as a gift. They are both sculptural and utilitarian”. 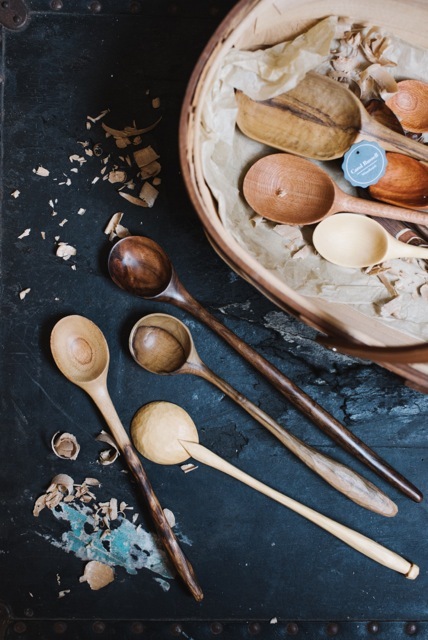 Create your own unique wooden spoon in this workshop, which is suitable for both beginners and those with a little more experience – you’ll learn carving techniques, tool sharpening and timber finishing. Don’t miss this opportunity to spend the day with Carol and learn this gentle art. Go home with loads of inspiration and all the knowledge you’ll need to continue carving your own unique spoons. All materials and equipment are supplied for this workshop. There’s so much material lying around on the ground that’s fallen from trees during high winds and storms. The shapes and textures that can be found are inspiring. 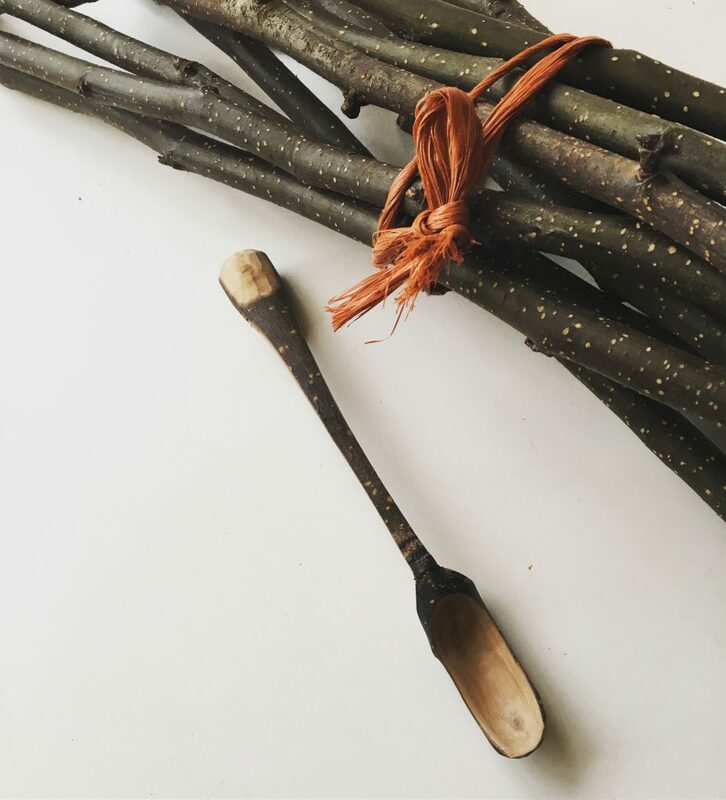 It’s great to pick up a stick and use the natural shape of the branch to carve small spoons. No two are ever the same. In this class you’ll go wandering and find your own material, bring it back and whittle some small spoons using mainly knives and chisels. In this class you’ll cover tool choice and maintenance as well as design and carving techniques specific to branch material. Join Kerrie for one of our most popular workshops in the Studio. Indigo has been used as a dye substance for centuries and traditional ways of using it are still practiced around the world. Shibori is the technique of folding, wrapping and tying to create beautiful designs in dyed fabrics and other materials. 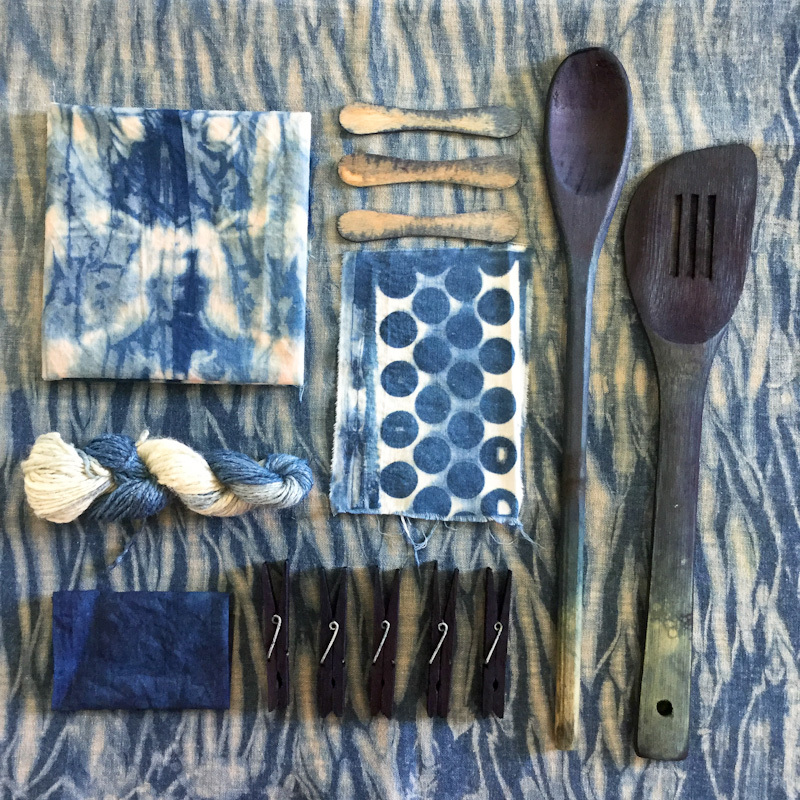 In this workshop you will learn a little about the history of indigo and shibori, and gain experience using this beautiful dye. We will begin the day by experimenting with various ways of creating pattern on cloth and then go on to make a beautiful scarf ready to take home and wear at the end of the day. All materials, including a silk or cotton scarf, and equipment for the workshop are included in the price. Just bring your sense of adventure and readiness to learn. This workshop is suitable for Beginners and those with some experience. Send us an email now to book your spot in our Workshops. Please double check your email address so we can reply. If you don’t hear back from us within a day please resend – we have no way of contacting you if your details are incorrect! All our teachers are practising artists who have extensive training combined with many years of experience. You can be assured that you will receive expert tuition and bucket loads of inspiration. 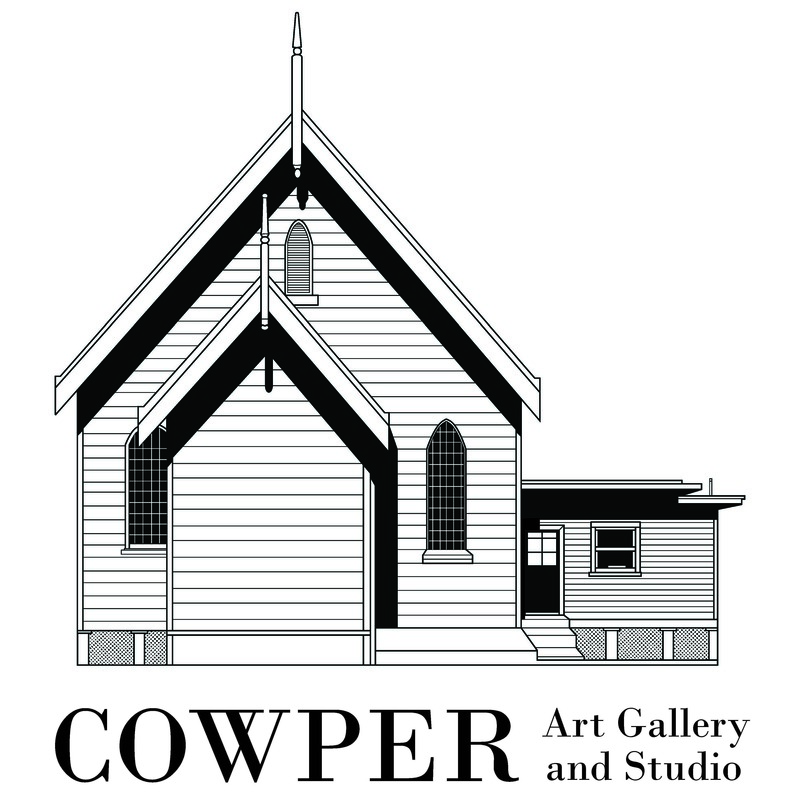 Our renovated church nestled on the banks of the Clarence River is the perfect setting for a relaxed and creative day out. Enjoy our beautiful space whilst learning new skills and relaxing by the river. We provide wholesome food and drinks throughout the day to keep your energy levels high. All our food features home style baking with delicious lunches using as many local ingredients as possible - some grown in our own gardens! Enjoy some Highlights from our workshops.